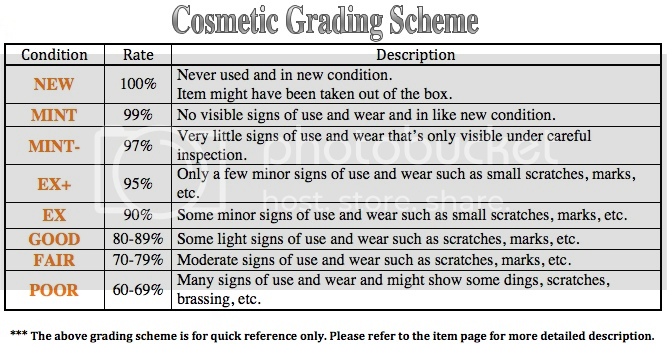 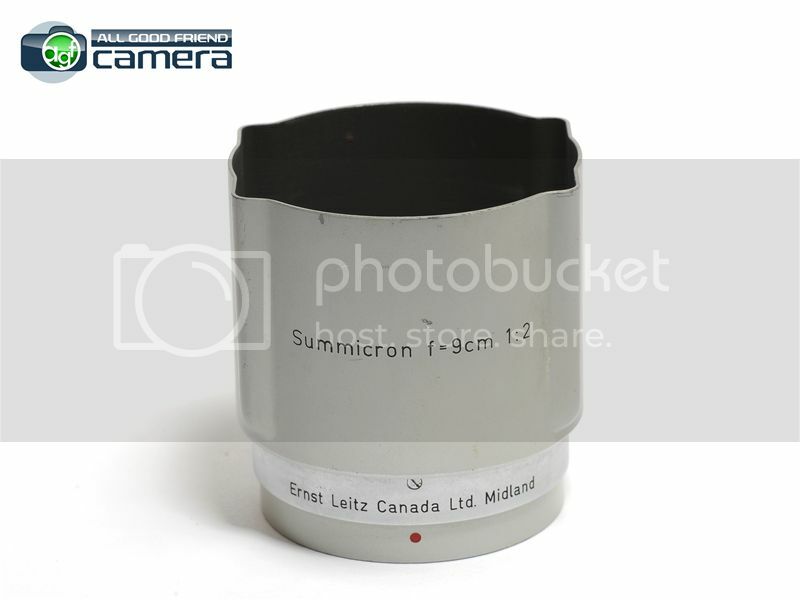 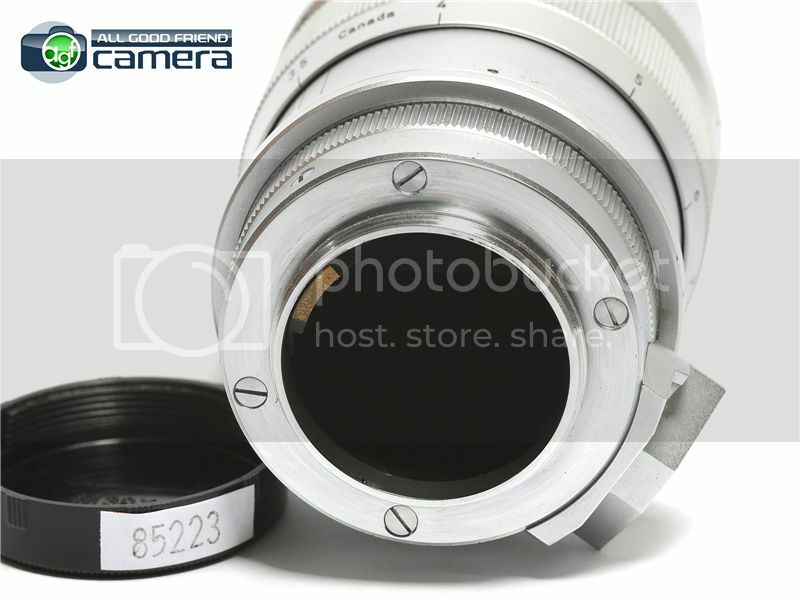 Cosmetic: GOOD --> the top part of the lens barrel has some tiny corrosion spots on it. 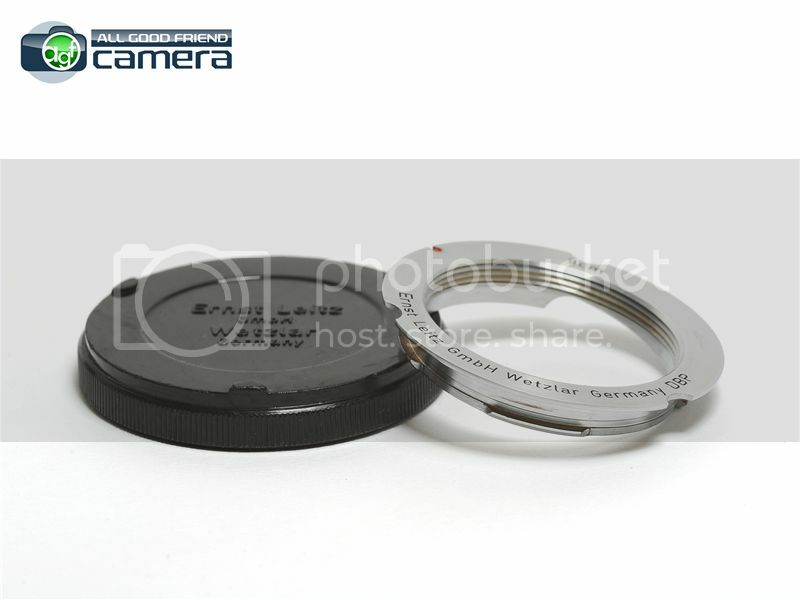 Optics: NO fungus, under strong light a slight haze and some faint marks is visible around the edge of an internal lens element but this will not affect photo quality. 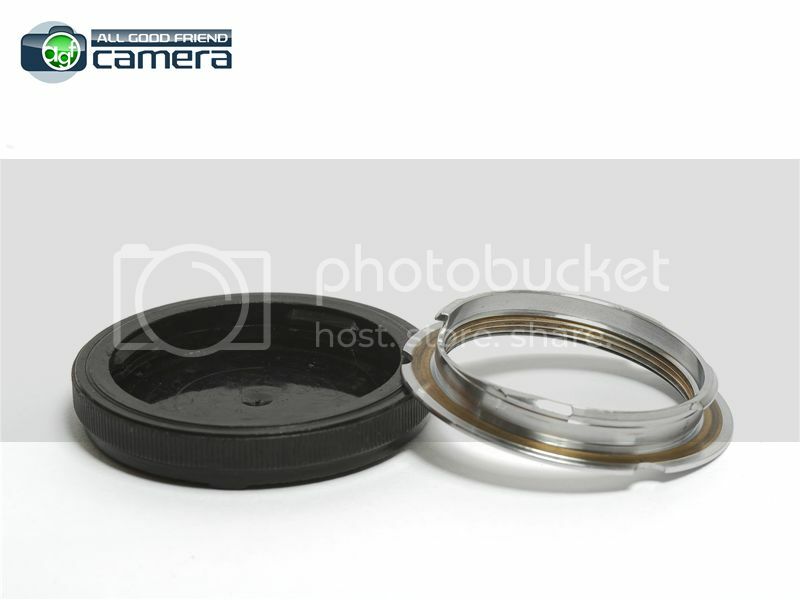 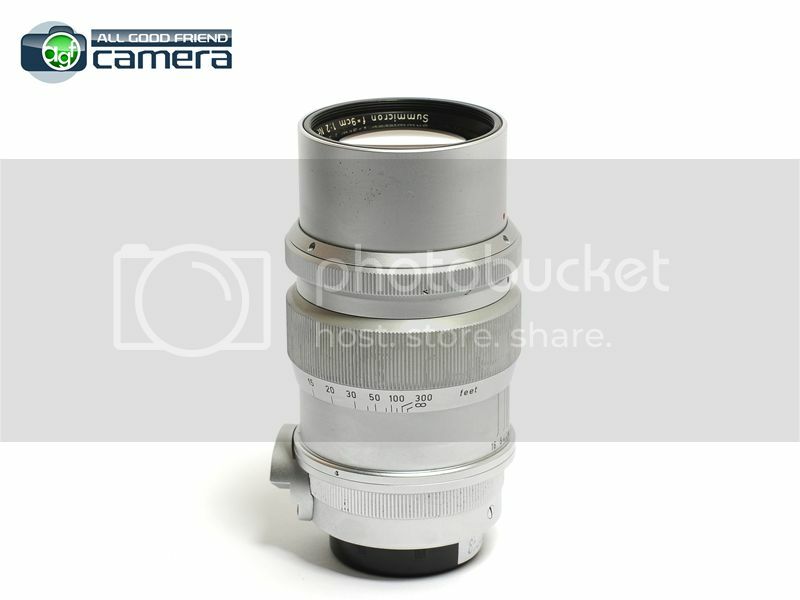 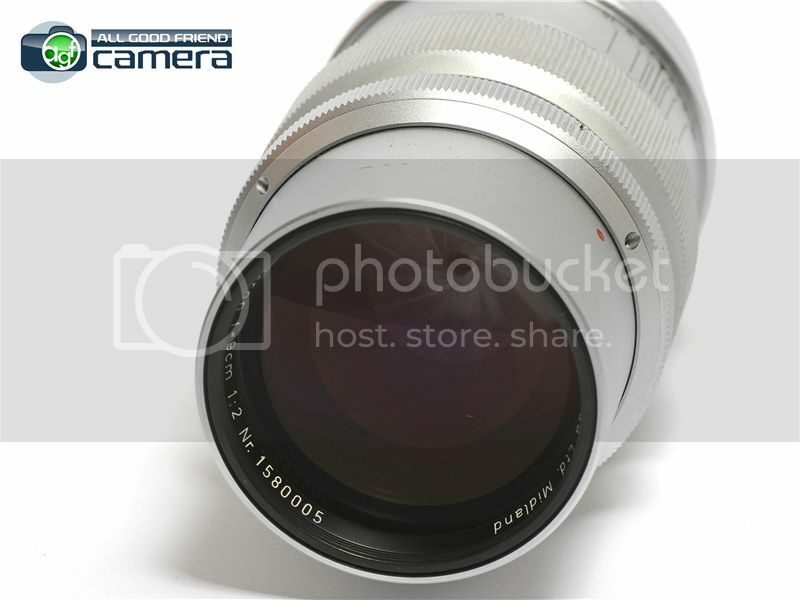 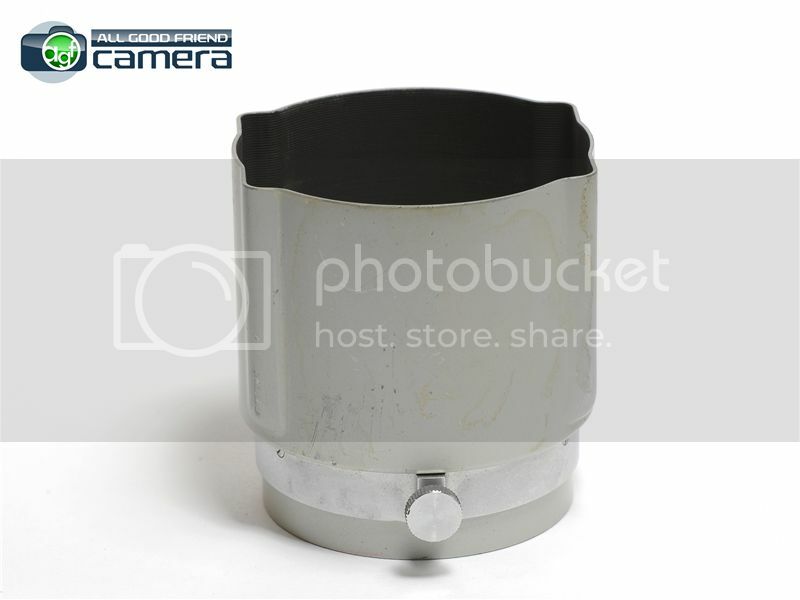 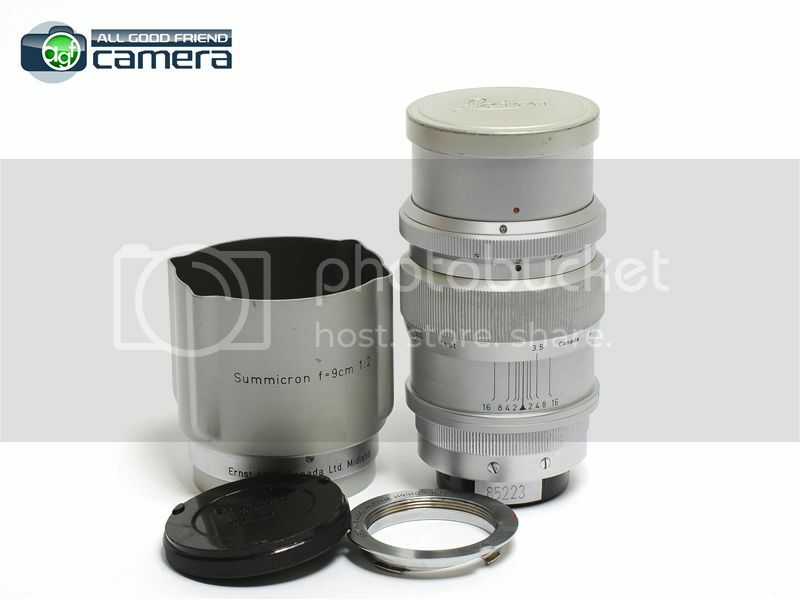 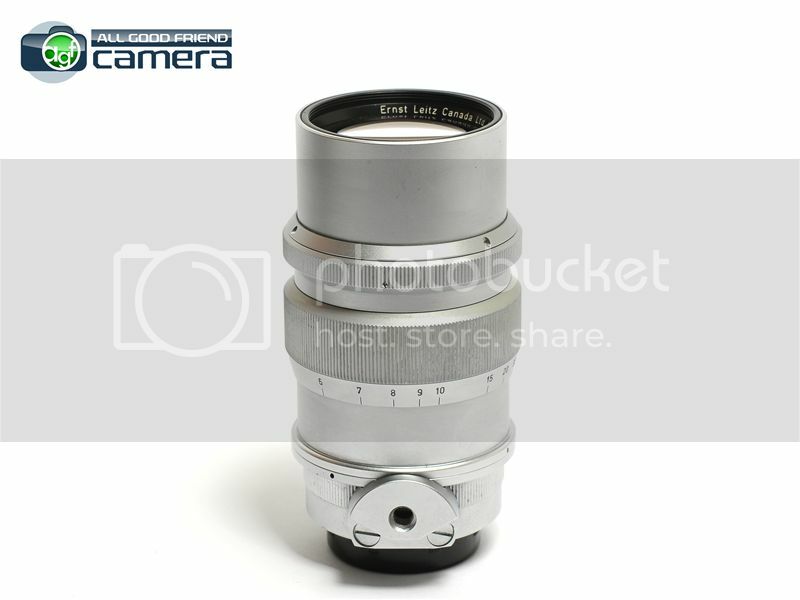 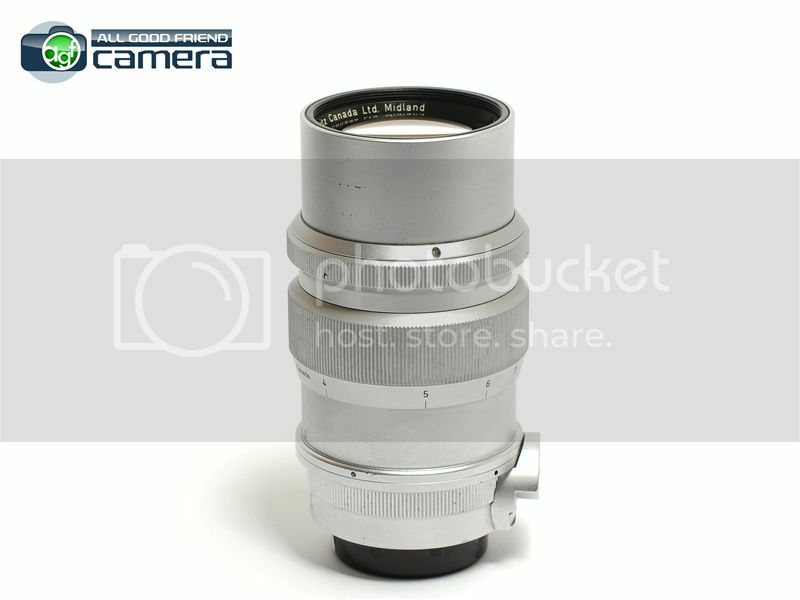 Includes: Lens, front/rear caps, lens hood, L39 t0 M mount adapter with cap.